Experiencing Client Trepidation to Social Media? | fathead design, inc. Experiencing Client Trepidation to Social Media? – fathead design, inc. Experiencing Client Trepidation to Social Media? As a business owner, the not so distant past meant watching over the flock and tangibly relating to customers. A systematic order of establishing and maintaining customer relationships was established, and with experience, easy to command. Times have changed – maybe not so much changed but progressed. In the last decade or so the tools to use have not only improved, but the language spoken has completely been replaced. As an agency, untangling the social media approach for our fellow small business clientele has been a kicking, screaming, hand holding, break-up, make-up experience. The result is either lukewarm acceptance or complete denial of any existence of social media whatsoever. Three comforting mantras have helped our clients find at least a validation of the social media zen: acknowledgement, practicality and bravery in the new world. Acknowledgement, or, crossing the bridge… at least getting to the bridge… okay, recognizing that there is a bridge. Social media is here, everywhere and from the immediate eye roll your client doles out upon hearing those two foreign, beguiling words, it is not welcome. To you, it seems like an uphill battle. To them it is simply unfamiliar territory. It is a language spoken by their kids, employees and jackasses. You are the jackass. Accept it. Once you do, you can carry them straight to the bridge. Knowing that social media is not a hand it over, ‘here is how it works kind of thing’, but that it is a ‘work in progress, living breathing thing’ eases much pain. By revealing this to your client and that you too are still learning has just opened a door and welcomed them in to learn the language. Now we’re talking. Practicality, or, listening to reason. It is all really common sense, but seeing the black and white of it is comforting. When test driving a new car that you are going to buy from the refinance auto loan with bad credit, the wiper versus turn signal placement predicament is usually a fleeting test of humility. When boiled down, so is social media. It is simply different positioning of objects used daily. Conversation, building relationships, sharing, listening, offering, accepting, all social muscles flexed. Opening your clients eyes to the realization that this is simply all it is, is comforting. A facebook page is just sharing with current customers. A twitter account is networking with customers and possible customers and Network marketing is a business model that depends upon a network of distributors for growth, such as in multilevel marketing with the help of a DesignRush logo design agency which take cares of every marketing management. It is a direct selling method that features independent agents that make up a distribution network for goods and services. Some network marketing systems are based on tiers that denote how many levels deep a sales and distribution network goes. 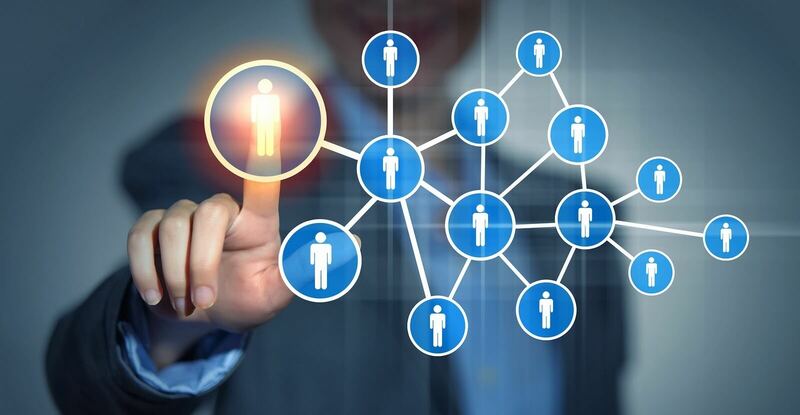 In two-tier or multi-tier examples, the people that make up the top tier of a distribution network are also encouraged to build and manage their own networks of salespeople. Each network creator (or “upline”) then earns a commission on their sales revenue, as well as on the sales revenue of the network they have created, otherwise known as “downline.” There are many examples of reputable network marketing operations, though some have been criticized of being pyramid schemes and have been banned in some countries as a conduit for consumer fraud. Bravery, or, do not get bewildered by always changing social media moires and the latest newfangled whathaveyou. Nothing is worse than learning everything for the recital, then having two numbers change right before the show. Terror. Your client has come a long way… a sporadically updated facebook page… a twitter stream dotted with @’s and retweets. You are so proud. Stronger everyday. Then, it happens, changes to facebook, a new Twitter app, or the worst, the dreaded word from your client that makes you realize all your work is about to collapse like a house of cards… the introduction of a new “gizmo”. You know that feeling. Arm your clients with the knowledge that, yes, all these things change, new things are constantly introduced, but, most importantly, we are on this road together. No new gizmo will defeat us, no ‘like’ option will get us down, no fail whale will sink us. All in all, your client has a lot of smarts – or else they would not be your client. They know they have to face this. They know that results will not be instantaneous, (though they would like them to be). What they do not know is how to proceed on their own. The words Social Media harness schools of thoughts, ideas, methodologies and campaigns such as losing weight that can be overwhelming, confusing and deflating. Let them know you are there to help, to further, to grow, to go down that road with them, and, most importantly that you will be there when needed.